MANGO SPA AT BALI BRASCO Mango Spa comes to retreat the balance of your body, mind and soul through its fabulous treatments. Mango Spa offers a little something for a very special of you to make a precious time for your whole day. A range of treatments for everyone’s need using finest quality products. 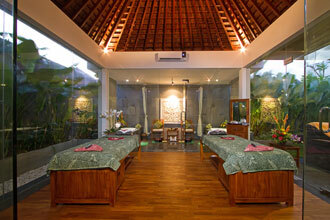 All treatment is conducted by well trained therapist in a cozy atmosphere, with a very competitive price. MANGO SALON & NAIL Mango Salon is the most up to date spot that is ready to serve best deals with excellent treatment in best price, where the tranquility and peace is everywhere you can feel. 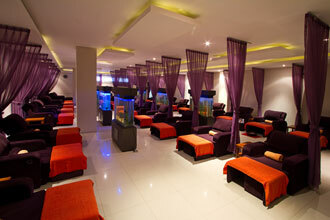 Mango salon owns 8 treatment chairs, 2 facial rooms, complimented with 3 cream bath equipments. Women would not only be pampered by branded bags, clothing, and footwear. The need to always look pretty and awesome is bunched into Mango Nail Art, a splendid zone to prettify nails. By using sophisticated technology from Japan, the nail art is available in 3-D, a modern but elegant style which may considered the first in Bali. Get ready to be surprised by best nails you are going to show your people. Please see the treatments (tab above) Receive 10 % discount when booking with us. Spa Treatments Special Offers : 25% Discount on rates below ! A luxurious treatment that everyone deserved which combined a refreshing foot bathing, a body massage, aloe vera facial completed by your choice of traditional scrubs followed by body mask/wrap ended with an aromatherapy bubble bath & Spa Gift. A treatment start with aromatic foot bath, a relaxing body massage, aloevera facial, express manicure or pedicure, completed with traditional creambath & Spa Gift. 2 Hours body treatment which Using a Red Wine, Wine Body Scrub & Grape Body mask for warm up your body, clean the toxic inside your body ( Antioxidant ), let your skin feel more clean, younger and shining ended with Red Wine bath.